I’m just another geek/nerd that messes with code, music mostly metal, but I have broad tastes in other genres), philosophy, technology, vaping and whatever catches my interest. I have decided to post some of my thoughts here. Just a small warning though. I tend to have controversial ideas. I might insult you with what I am saying. This is entirely your problem, not mine. Also, I don’ t take myself too seriously, and neither should you. 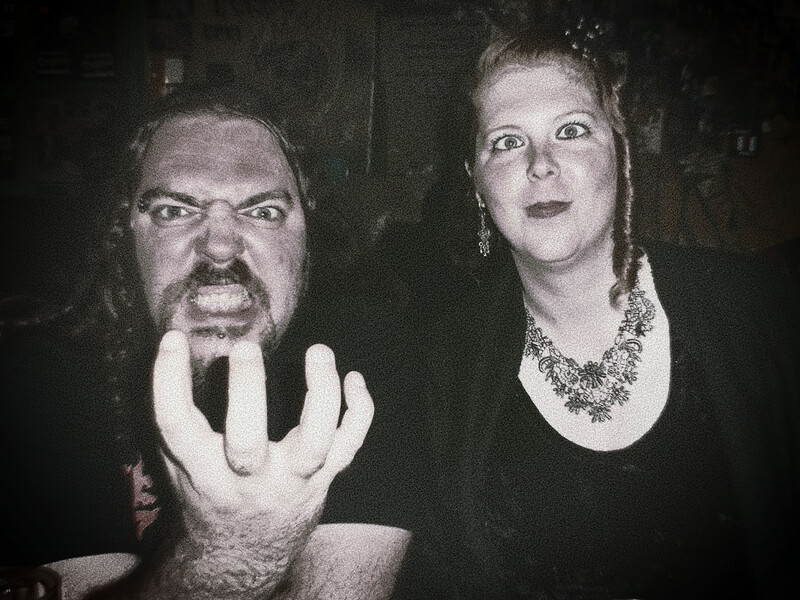 In the portrait on the left you can see me and my lovely wife Loes being silly at some metal bar in Gran Canaria. Alcohol was involved. Deal with it.